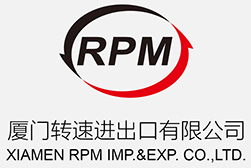 Rimpex@RPM supplies servo type lsr injection molding machines/moulds to produce various LSR medical parts. This machine is controlled by an AC servo control system, which helps increase dynamic response and torque density to the highest level and replaces the tradition driving modes adopting hydraulic, DC, stepping or AC frequency control mechanism. Such a configuration enables the system to have a shorter cycle, a higher production rate, better reliability and a longer service life. The entire AC servo system consists of a servo driver, a servo motor, an encoder and a load, which together runs in one control closed-loop system. Within the system, the driver receives information from the outside, and then transmits it to the servomotor, which converts the current into a torque and then passes it on to the load. Upon receipt of the torque, the load acts or accelerates or decelerates automatically, depending on its own characteristics. The encoder measures the position of the servomotor and feeds the signal generated back to the driver. Furthermore, the encoder is a high precision controller and can transmit modified values to the servo driver automatically, whereas the driver retroacts the set values. The entire system functions as a highly responsive closed-loop system. The DCM silica gel injection machine can save electricity by 40% to 80%, depending on the specific type of product. Normally, the thicker the glue layer of a product and the longer the cooling time, the less the electricity required. The current generated when starting a conventional motor is generally 5 times as high as that maintained when in normal operation. Because a DCM machine adopts soft start, it will not cause impact to the power grid. More water and oil-efficient (a high efficiency system can effectively avoid oil temperature rise, and therefore enable a smaller water cooling capacity and smaller temperature rise, which in turn reduces the rate of replacement for hydraulic oil.